This winter season Sandy Lane Hotel is set to launch its Sandy Lane Private Jet Series in partnership with Royal Jet, the world's leading private jet operator. Exclusive to Sandy Lane Hotel guests, this series of luxury daytime flights between London's Heathrow airport and Barbados will further enhance the Sandy Lane experience. There are just 18 fully flat beds, an onboard lounge, a crew of five and a private chef offering exquisite cuisine and the finest reserve wines and champagnes. 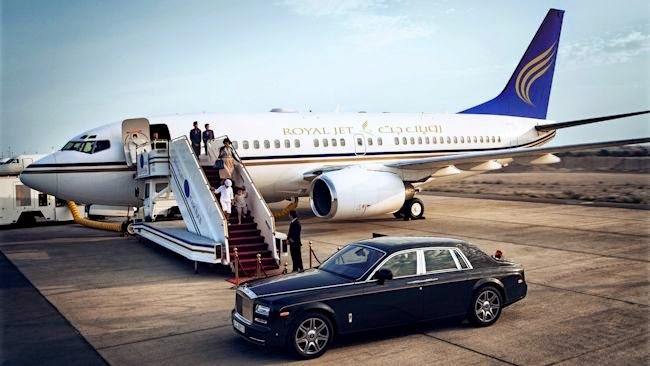 Jointly owned by the Abu Dhabi Aviation and the Presidential Flight Authority, Royal Jet is renowned for its sophisticated service and luxury executive flight services in the Middle East. Guests will travel on Royal Jet's flagship Boeing Business Jet, the A6 RJY, which is considered to be one of the world's most stylish luxury private jets.